If you’ve never been smacked in the face with a riflescope, then you’re one of the lucky ones. If you have though, then you’re a victim of inadequate eye relief. Sufficient eye relief is one of the most underrated aspects of a rifle scope. So before we get any further, let’s get an understanding of what eye relief is exactly and why is it so important. So What Is Eye Relief? Eye relief is the distance you must hold your eyes behind your scope’s rear lens to see the complete picture produced by your lens. If you move your eyes in closer towards the lens, your picture will begin to get fuzzy around the edges. If you take your eyes back too far though, the picture will become a dot on the lens. If the eye relief isn’t long enough and you’re using a high-caliber cartridge, like a Magnum, the top of the riflescope is going to hit your eyebrow when the rifle recoils after you take a shot. This is how insufficient eye relief translates into a cut above the eye. Below we have compiled a list of the best long eye relief scopes available in the market today. But before we get into that, here’s a small guide on what to look for in a riflescope. As we mentioned above, eye relief is of paramount importance in keeping your eyes out of harm’s way if you’re using a high-caliber bullet like a magnum. The industry standard for eye relief is about 3.5 inches at the lowest magnification. In higher magnification levels, you need to move your eyes closer to the lens to get a clearer picture anyway. In our opinion, long eye relief scopes should have at least 5 inches at the lowest magnification to ensure your eyes stay safe even when you’re shooting from unconventional angles. 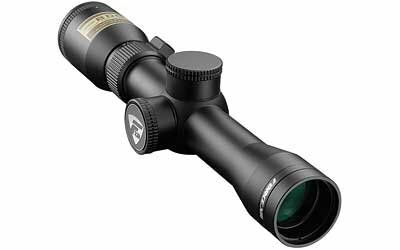 Plenty of people believe that magnification is the most critical aspect of a rifle scope. The higher the magnification, the longer the shots you can take. If you’re hunting big game, you would definitely want as much distance as possible between you and the target. A large magnification range gives you a lot of versatility and lets you hunt the way you want, up close and personal or long range and tactical. When it comes to accuracy, nothing is more critical than the reticle and its crosshairs. Reticles can be of two types – first focal plane and second focal plane with static picture sizes or pictures which grow bigger or smaller as you zoom in or out. A reticle should provide adequate information, have adjustment and holdover positions and basically, give you a good idea of the bullet’s trajectory. A good rifle scope will have multicoated, anti-reflective lenses. These lenses transmit as much light as possible from the surroundings which make for a vivid, bright picture. Contrast is especially important when you’re shooting in a forest with a lot of grass and trees. Excellent light transmission is absolutely essential when you’re shooting in the dark. The lens should at least, provide as clear a picture as you can get with your naked eyes. What really separates the best scopes from the sub-standard ones is their durability. Whereas a cheap china knockoff is probably going to be in shambles after only a few shots, high-quality scopes are made with craftsmanship that will last you years, often a lifetime. A good scope should be made out of aircraft grade aluminum, and the scopes should have nitrogen or argon purging. These features protect your rifle from both environmental conditions like grass, trees, and branches and climatic conditions like rain, fog, and water. Having a lifetime warranty also helps a lot! First up on our list is this simple, but highly effective scope from Burris. This riflescope has a host of highly functional and beneficial features but what really stands out is the long eye relief. The reason this scope shows up on our list of best long eye relief scopes is because of its enormous eye relief of 11 to 21 inches. Thus, even if you’re fully zoomed in and are shooting with bullets, which have the strongest of recoil, you can rest assured your eyes are absolutely safe. 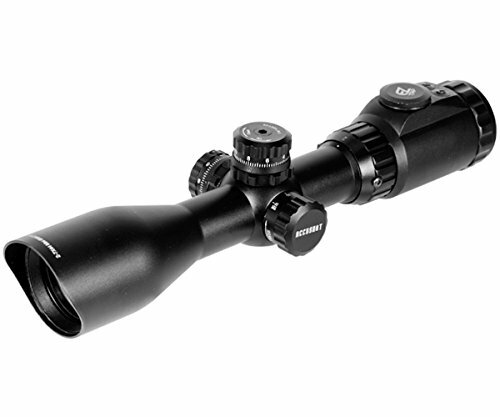 With a zoom range of 2 to 7X and an objective lens of 32 mm, the Burris is ideal for short to medium range shooting. It is a great choice for an M1A scout rifle. Quick, precise clicks let you make 1/4 MOA adjustments to compensate for wind and elevation. What we also really like about this riflescope is that it also has a coil-spring system for locking your position. This allows for increased precision and lets you hold your prey with perfect accuracy in the crosshairs. The lenses are multicoated which allows for maximum light transmission and minimal glare. 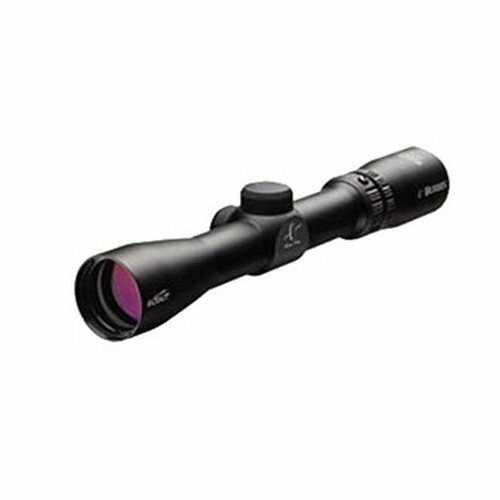 Multiple Nitrogen purges ensure that the scope is sturdy and protected from water, dust, and fog. If you’ve ever had your eyes hit before with a scope and want to ensure that never again comes to pass, this is the riflescope you want to buy. Nikon is and always has been, one of the biggest players in the riflescope industry. This scope comes with all the features, usability and durability that Nikon is known to provide in all its products, making this one of the best long eye relief optics out there. This one is a great scouting scope and is made primarily for handguns. Field tested against the extremely powerful Sand W 500; this scope can hold its own up to the strongest of recoils. The immense eye relief of 9 to 30 inches ensures that no harm ever comes to your eyes. It is equipped with Nikon’s usual BDC reticle, which has several open circles that provide for a lot of different aiming points for varying levels of wind and elevation adjustment. It’s also optimized for use with Nikon’s Spot-On Ballistic Matching Technology, thereby taking away all the guesswork in calculating bullet trajectories with different cartridges. Hand-turn turrets provide for 1/4 inch adjustment graduation, going up to a maximum internal adjustment of 40 MOA. It also has a parallax remover from 100 yards up to infinity. It has an impressive magnification range of 2.5 to 8X. The objective lens of 28mm diameter might seem low but is actually pretty decent for a handgun scope. The field of view goes from 13.1 ft to 4.1 ft at 100 yds. This scope is also immensely durable and can hold its own no matter how much battering it takes. The lenses are nitrogen purged, and O-ring sealed making them shockproof, waterproof and fog proof. And if something does go wrong, you have Nikon’s Lifetime Warranty. An all-around scope with great features overall, it does face a problem when zooming out to its maximum. But there are no compromises when it comes to eye relief or picture quality. This one from UTG is an excellent scout scope, is immensely fun to use with its customizable reticles and is also, a personal favorite of ours for the price it is offered at. The reason most people prefer UTG’s scopes is because of their reticle customizing options. It gives you the option of a dual-color mode with 36 colors to choose from, so you can customize the reticle to suit your own personal preferences. You can even customize the color scheme in accordance with the surrounding environment or the prevailing light levels. It is an absolute godsend for people who are color blind. Apart from the customizing options, what we find to be most impressive about this scope is the 11 inches of eye relief. This eye relief is sufficient enough for every hunting scenario imaginable, making this one another tremendous long eye relief scope. When it comes to the reticle, this scope does a tremendously good job as well. It is a six Mil-Dot etched glass reticle. The lens themselves have an Emerald Lens coating which protects it from environmental conditions like rain, fog, and shock. The lens also comes packaged with an angled sunshade for added protection. It features zero locking and zero resetting adjustment turrets. Thus you can hold zero easier and also come back to zero quickly without reverse counting clicks. The wind and elevation compensation turrets have the industry standard 1/4 MOA adjustment per turret click. The parallax can be adjusted from 10 yards to infinity, which is also very impressive. If you are okay with the added weight on top of your rifle, there’s very little you’re going to dislike about this scope. It has all the features of a professionals scope but at a beginners price. In our book, it is definitely one of the best Long Eye Relief Scopes out there. The final entry on our list is this one from the relatively unknown Aim Sports. It’s a simple scout scope and is a very budget friendly option for those who are new to recreational hunting and shooting. What Makes This A Nice Scope? This riflescope has a lot going for it, especially its 8.5” to 10.5” inch eye relief. The eye relief is quite generous and keeps your eyes perfectly safe, as testified by hundreds of satisfied customers. The mil-dot reticle is a little tiny for our taste, but this is, after all, a scouting scope. Anyway, the scope more than makes up for it with it’s super accurate zeroing in capabilities. This, coupled with the 2 to 7X zoom range and the huge 42mm objective lens makes for a very accurate and precise riflescope. Both the build quality (aircraft grade aluminum construction) and the image quality is top notch, which is super impressive for a riflescope that is so affordable. Rest assured, the picture on the riflescope will have perfect contrast and vividity from dawn to dusk. If you are just starting out with sports hunting and you have heard a bunch of horror stories from your friends and relatives about how they hurt their eyes from recoiling rifle scopes, then look no further than this scope. It is the perfect budget starter option for an up-and-coming hunter. Eye relief is a feature that doesn’t get nearly as much publicity as it should. A lousy experience resulting from insufficient eye relief, ending in a cut above the eye can be enough to put off a newcomer from hunting forever. 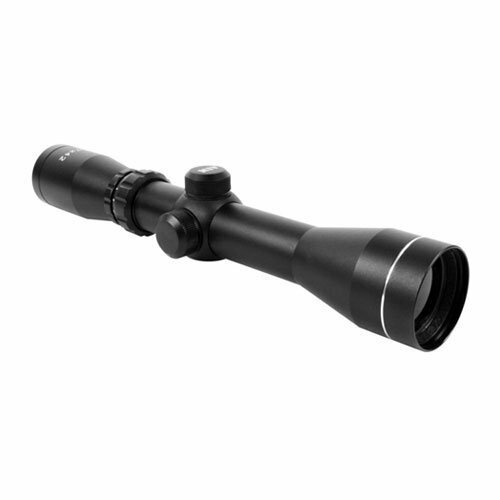 The riflescopes reviewed above are all top-notch scopes, which are highly accurate and have excellent picture quality. But more than everything else, they have incredibly abundant eye relief. So what are you waiting for? Buy one of these scopes, put on your hunting boots and set out into the wild.